Professional Panel Beaters and Spray Painters welcome your custom. We are located in Palmerston North and are available for all your panelbeating and spray painting requirements. If your vehicle has structural damage, Wayne is a Structural Repairer and has ample experience and knowledge. 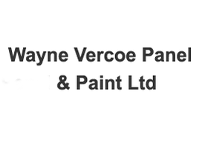 We do anything from minor car repairs and touch-ups to major structural work and resprays, you can rely on the staff at Wayne Vercoe Panel and Paint in Palmerston North to ensure your car is looking perfect. Prices will vary depending on the damage, make/model, and year of your vehicle. Give us a call or stop by the workshop today if you require a professional panel beater.